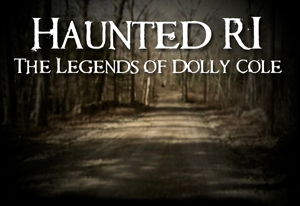 On Halloween night, after the kiddies are in bed and the porch lights are off, lock the door and curl up for some spooky stories with Haunted RI: The Legends of Dolly Cole at 8 p.m., followed by Things That Go Bump in the Night at 9. 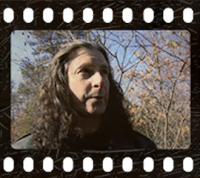 The dense forests that line Tucker Hollow Road and Ramtail Road in Foster, Rhode Island, have been the setting for more than one story involving the restless dead. Ghosts of perished mill workers and the haunted graves of plague victims are commonly found there among the ruins and forgotten grave sites scattered through these woods. Yet, of all these hauntings, no name has earned itself more prominence - and confusion - among the Fraternity of the Restless than Dolly Cole. Fact mixes with fancy, maybe even fantasy, as is typical of legends passed down through generations. Dolly Cole was a witch, a vampire, a murdered prostitute who dressed in men's clothing... She lost her daughter - or maybe it was a son - in a fire set by neighbors afraid of this Witch of Foster. She was murdered in the woods at age 27; she drowned in the stream near her house; she is the "Woman in White" seen by hunters, fishermen, and local residents for years. Some witnesses were alone, some were in groups, all were chilled by their encounters and reluctant to speak of them above a whisper. 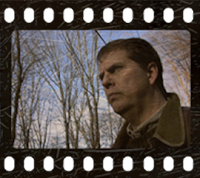 Things That Go Bump in the Night details some of New England's most bone-chilling stories, myths and legends. Interviews with local authors and experts, along with personal accounts, reveal tales of the supernatural, the unexplained and the mysterious. The special features visits to the infamous Lizzie Borden home in Fall River, MA, the long-abandoned village of Dudleytown in northern Connecticut, the Hoosac Tunnel in the Berkshire Mountains, the New London Ledge Lighthouse, Bellcourt Castle in Newport, Rhode Island and a Union cemetery in Easton, CT - the sites of terrible tragedies, supposed curses and ghostly hauntings. Meet Me at THE MET, a new, one-hour program featuring local, regional, and national music artists, will debut on WSBE Rhode Island PBS on Thursday, October 3, 2013 at 10 p.m. 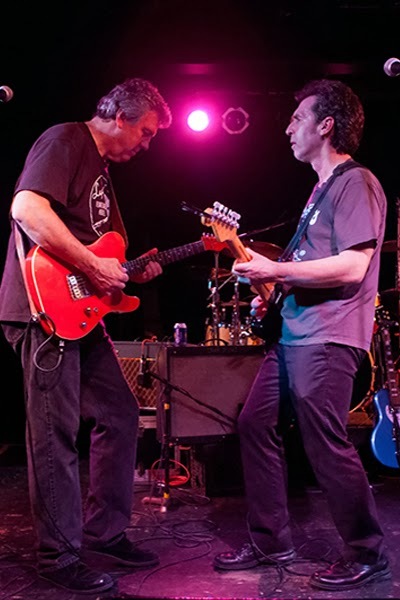 Created by Rudy Cheeks and Nate Flynn, in association with Rhode Island PBS, the program will showcase the best Rhode Island music from the past 40 years. It will consist of live musical performances and interviews recorded at THE MET Café in Pawtucket. 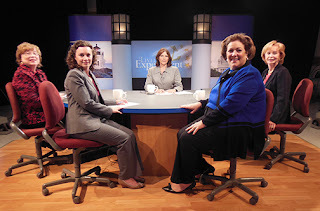 The initial series of 13 shows will air on Thursday nights at 10 through December on WSBE Rhode Island PBS (over the air on digital 36.1; Cox 08 / 1008HD, Verizon FiOS 08 / 508HD, and Full Channel 08; DirecTV 36 / 3128HD, Dish Network 7776; in MA, Comcast 819HD and Verizon FiOS 18 / 518HD).Each episode will rebroadcast on the following Saturday at 2:30 a.m. and Sunday at 11 p.m.
"What we are trying to accomplish is to capture and unleash the energy and excitement of live musical performances in front of an enthusiastic audience," said Rudy Cheeks, the show’s host and co-creator. "Through this experience, we hope viewers will feel an appreciation for the creative community in Rhode Island and maybe help build the careers of local and regional musical artists," he said. "The arts have already proven to be a powerful economic engine and we'd like to add to that," Cheeks said. Co-creator Nate Flynn added, "Today's video technology allows live performances to be captured in a much truer way. Small HD cameras can get close to the stage without affecting the performance and that lets viewers experience the feeling of being up close in a club through their television. Meet Me at THE MET is shot so that all you see is the stage and performers. We want viewers to experience what it's like to be standing 10 or 20 feet from the action on stage." "We are delighted to premiere ’Meet Me at THE MET’ on Rhode Island PBS," said David Piccerelli, president of Rhode Island PBS. 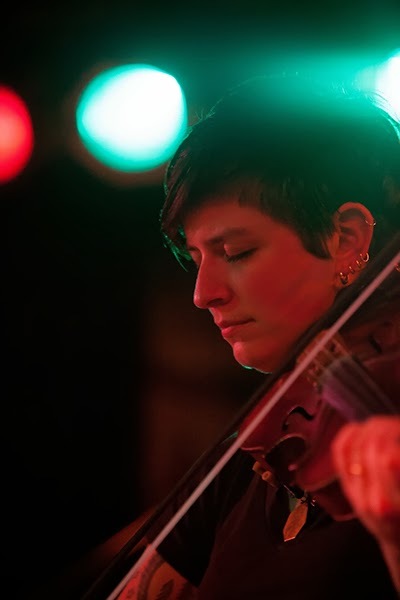 “THE MET is a great local stage for live performances, and Rhode Island PBS is the bigger stage that amplifies those local voices. It’s that local connection that differentiates us from other TV stations, and how we engage and serve our community," Piccerelli added. "We’re collectively building an innovative experience, not just for Rhode Island PBS viewers, but one that will carry the Rhode Island music scene across the country,” Piccerelli said. The producers of the show have a long and varied history in the music and entertainment industry. Nate Flynn, a native of North Smithfield, is an international award-winning communications professional with experience in concert production, photography, and video and multimedia production. As a key member of the Brown Student Concert Agency, he worked stage crew for some of the world's most famous artists including Bob Marley, Blondie, U2, Dire Straits, the Kinks, Emmylou Harris, The Ramones, Dave Brubeck, Carly Simon, Pat Metheny, Bonnie Raitt, and Little Feat, among many others. Rudy Cheeks, a native of Pawtucket, has had a 40 year career in music, radio, print journalism, film and television, including stints with the legendary Young Adults and Fabulous Motels, Comediac bad movie nightclub act (precursor to Mystery Theatre 3000), Club Genius television show, and was a radio host on several Rhode Island radio stations. He co-authors the popular Phillipe and Jorge column in the Providence Phoenix and is a member of the Pawtucket Hall of Fame. Both Flynn and Cheeks are founding members of the Rhode Island Music Hall of Fame and serve on the Board of Directors. "I feel happy to have my memories of all the music in the ‘70s and all the musical changes and events and the evolution of it. It’s tragic there is no documentation of it,” said Rich Lupo of THE MET and Lupo’s Heartbreak Hotel in Providence. “We had these bands in the ‘70s that were a mixture of blues, rhythm and blues, and rock. Music goes in and out of style. Many of the groups around now – Deer Tick, Joe Fletcher and the Silks – are similar to the groups from the ‘70s. 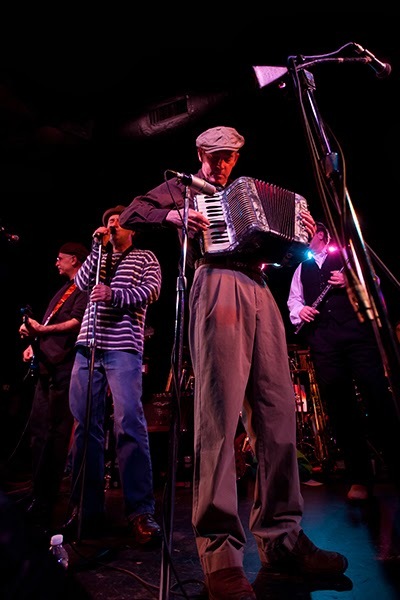 If someone documents these bands, it will be a history of music," Lupo said. Meet Me at THE MET is made possible in part by funding from the Rhode Island State Council on the Arts and Washington Trust, with additional support from the Providence Phoenix, Imaj Associates, THE MET, WSBE, Litho Print, and Mojo Photography. For information about underwriting opportunities, contact the series executive producer Paula Gurney. The series Web site, meetmeatthemet.net, features more information about the series, the host and production team, funding and volunteer opportunities, as well as the artists who will appear in the series. 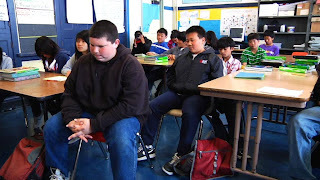 Room To Breathe is a surprising story of transformation as struggling kids in a San Francisco public middle school are introduced to the practice of mindfulness meditation. We air the documentary Tuesday, September 24 at 8 p.m. on WSBE Learn (digital 36.2, Cox 808, RI Verizon FiOS 478, Full Channel 89, Comcast 294 or 312). The film begins in the halls of the weekday home to almost 1,000 children, Marina Middle School in San Francisco. Kids pour out of classrooms, shouting to each other as they sweep down the stairwells into a concrete schoolyard outside the massive art deco building. The tough language and raw physicality suggests the underlying violence to which these kids are exposed. Topping the district in disciplinary suspensions, and with overcrowded classrooms creating a nearly impossible learning environment, overwhelmed administrators are left with stark choices: repeating the cycle of trying to force tuned-out children to listen, or to experiment with timeless inner practices that may provide them with the social, emotional, and attention skills that they need to succeed. The first question is whether it’s already too late. Confronted by defiance, contempt for authority figures, poor discipline, and more interest in “social” than learning, a young mindfulness teacher from Berkeley wonders is she will succeed in opening the students' minds and hearts. Locally, Rhode Island has its own mindfulness program. ResilientKids™* offers an innovative yoga and mindfulness curriculum that works directly with students in their school settings. The secular program of ResilientKids™ is designed to promote the development of life-long skills, including focus, self-esteem, self-confidence, balance, and community. By building a toolbox of strategies to manage academic, emotional, and social challenges, students learn from professionally trained adults how to successfully navigate their path to becoming engaged adults, global citizens, and our future leaders. The video below showcases the ResilientKids™ program in action. *Disclosure: WSBE president David Piccerelli is a board member of ResilientKids. From award-winning writer Sally Wainwright comes Last Tango in Halifax, an uplifting comedy drama about romance and second chances. Full of zesty humor, great characters and glorious dialogue, it’s about timeless love in a very modern setting. 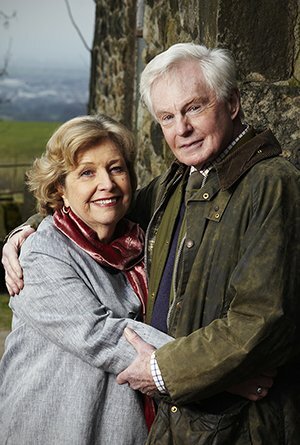 WSBE Rhode Island PBS is pleased to premiere the six-part series Last Tango in Halifax on Saturday, September 21 at 8 p.m.
Childhood sweethearts Alan (Derek Jacobi) and Celia (Anne Reid), both widowed and in their 70s, fall for each other all over again when they are reunited on the internet after nearly 60 years. As their lives collide for a second time, the couple lament over what might have been as they take us on a life-affirming journey of what can still happen. Their relationship is a celebratory tale of the power of love at any age. But this is also a story about family, and with family comes baggage. Alan and Celia both have daughters, whose dysfunctional lives bring drama at every turn. Celia’s daughter Caroline, a career-focused head teacher, is worried that her mum is rushing into things with Alan. But with her adulterous husband John back on the scene having left his alcoholic mistress Judith, and with relationship issues of her own, she’s happy to let things run their course. Chaotic, independent Gillian works hard on the family farm as well as in the local supermarket. Impetuous in her relationships, she’s currently dealing with the advances of her younger lover Paul and the accusations of her brother-in-law Robbie, who’s convinced she was involved in the death of her husband. Neither daughter would ever dream of getting in the way of their parents’ happiness. But somehow they just can’t help themselves. Explore more about the characters and the series here. P.S. 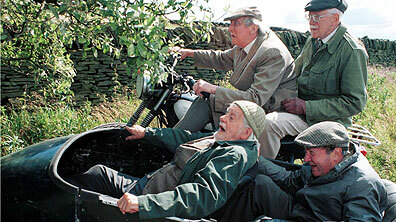 - A second season has been ordered, so we will be seeing more of these wonderful characters! 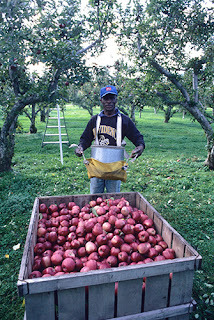 Orchards in the Ocean State: Apple Growing in Rhode Island notes the continued success of Rhode Island farmers in a business that is inherently risky and fraught with economic uncertainty. Growers have had to balance the traditional approaches handed down to them from their parents and grandparents with the realities of today’s business climate. 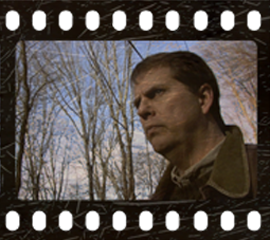 Rhode Island PBS premieres the film on Sunday, September 29 at 6 p.m. as part of its ongoing series, Rhode Island Stories. 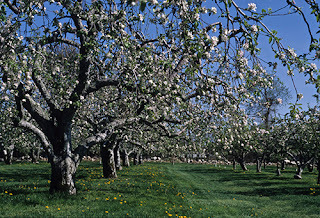 Orchards in the Ocean State follows apple growers over a ten-year period to show how this historically significant way of life in Rhode Island - which seemed on the brink of extinction a few short years ago - has managed to survive and thrive. The film, produced by Alexander Caserta, showcases how Rhode Island farmers respond to changing technology and markets with resourceful adaptation. For the past several years, Americans have been turning away from highly processed foods in favor of fresh whole foods picked when they are ripe, tasty, and at peak nutritional value. Informed consumers are buying produce from farmers markets and local produce stands, and availing themselves of seasonal pick-your-own opportunities. Consumers who are aware of the issues facing local farmers choose to support them because they realize that keeping the farms viable means preserving the rural character and open space of much of our state. Moreover, consumers realize that supporting local growers helps the economy of the entire state. 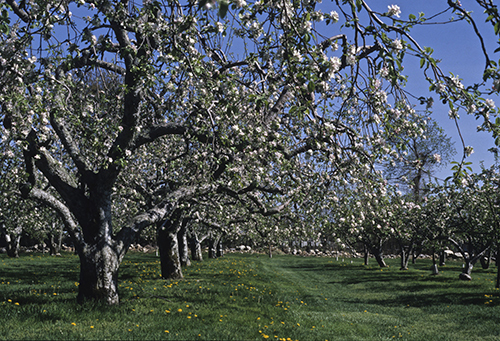 These shifts in consumer and farming trends combine to help local fruit growers remain in business and prosper. For the first time in decades, their children and grandchildren are confident that they can carry on the family business. Every year, we receive several requests to air this documentary. 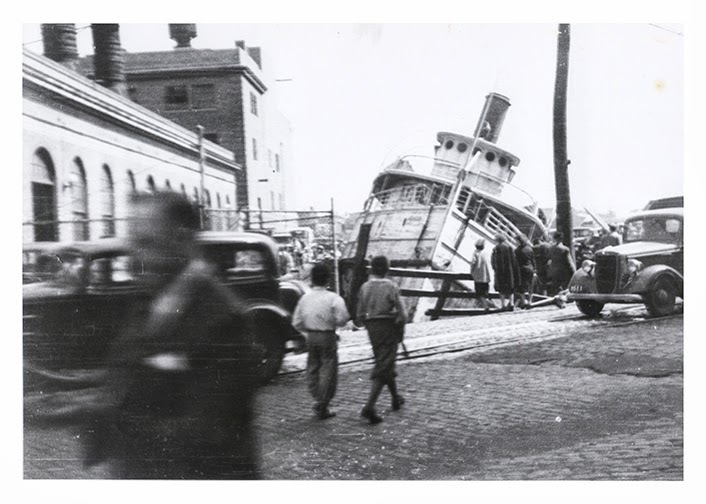 This year in particular - marking the 75th anniversary of the "New England Express" - we are most proud to present Wake of '38, the documentary that won an EMMY (R) award for WSBE. 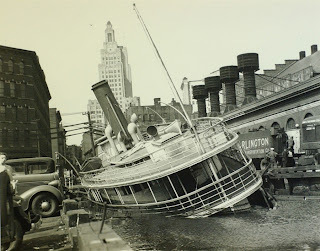 Produced by WSBE ("Channel 36" then, "Rhode Island PBS" now), Wake of '38 uses archival newsreel and home movie footage, as well as the vivid recollections and eyewitness accounts to tell the story of the nameless hurricane that careened through southern New England on September 21, 1938. An annual "favorite," Wake of '38 debuted in 1978, marking the 40th anniversary of the storm. We proudly air it on Saturday, September 21 at 11 p.m. It's estimated the hurricane killed between 680 and 800 people, damaged or destroyed more than 57,000 homes, and caused property losses estimated at US$306 million ($4.7 Billion in 2013 dollars). As noted in the quoted account below, the greatest death and damage toll came in the storm surge that followed. Downtown Providence still has buildings that are scarred by the water lines, some 13 feet above ground level. The unnamed hurricane of 1938 remains the most powerful and deadliest hurricane in recent New England history, eclipsed in landfall intensity perhaps only by the Great Colonial Hurricane of 1635. 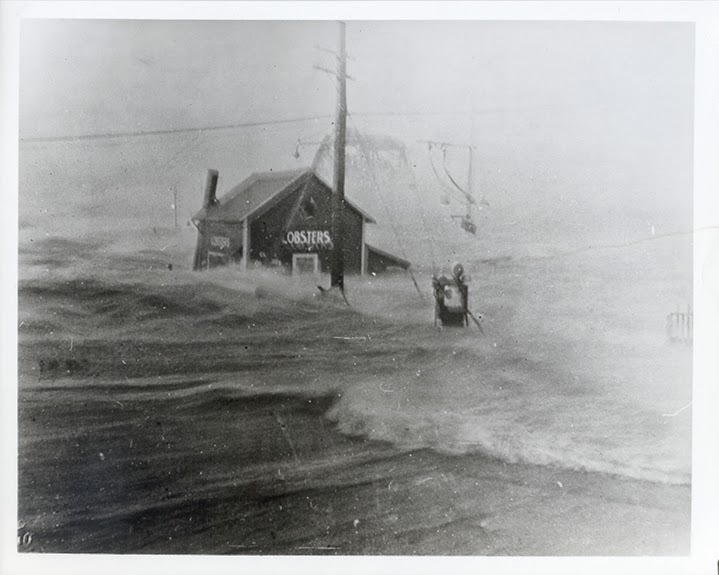 In 2012, Hurricane Sandy did more property damage in terms of dollars (despite its lower intensity at landfall); however, the 1938 storm still stands as the second costliest storm to strike New England. The Great New England Hurricane of 1938 was one of the most destructive and powerful storms ever to strike Southern New England. This system developed in the far eastern Atlantic, near the Cape Verde Islands on September 4. 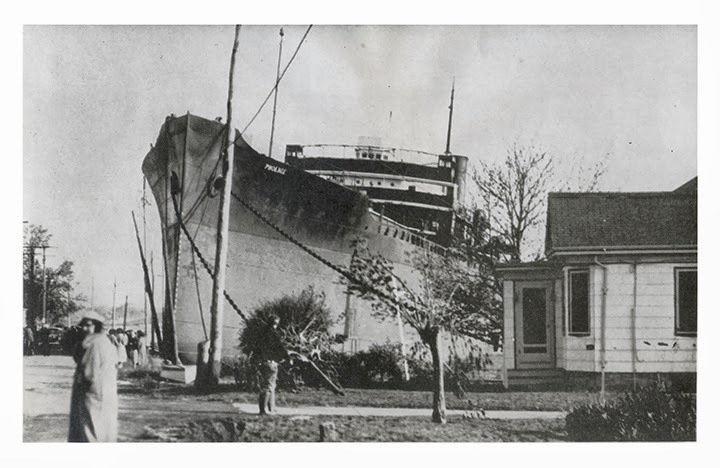 It made a twelve day journey across the Atlantic and up the Eastern Seaboard before crashing ashore on September 21 at Suffolk County, Long Island, then into Milford, Connecticut. The eye of the hurricane was observed in New Haven, Connecticut, 10 miles east of Milford. The center made landfall at the time of astronomical high tide, moving north at 60 mph. Unlike most storms, this hurricane did not weaken on its way toward Southern New England, due to its rapid forward speed and its track. This kept the center of the storm over the warm waters of the Gulf Stream. Sustained hurricane force winds occurred throughout most of Southern New England. 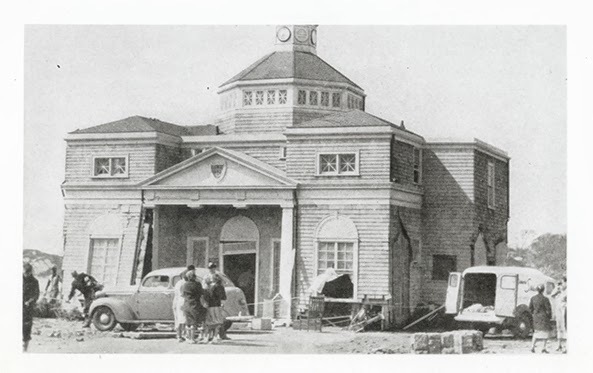 The strongest winds ever recorded in the region occurred at the Blue Hill Observatory with sustained winds of 121 mph and a peak gust of 186 mph. Sustained winds of 91 mph with a gust to 121 mph was reported on Block Island. Providence, Rhode Island recorded sustained winds of 100 mph with a gust to 125 mph. Extensive damage occurred to roofs, trees and crops. Widespread power outages occurred, which in some areas lasted several weeks. In Connecticut, downed power lines resulted in catastrophic fires to sections of New London and Mystic. The lowest pressure at the time of landfall occurred on the south side of Long Island, at Bellport, where a reading of 27.94 inches was recorded. Other low pressures included 28.00 inches in Middletown, Connecticut and 28.04 inches in Hartford, Connecticut. 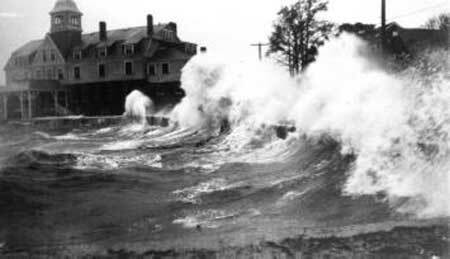 The hurricane produced storm tides of 14 to 18 feet across most of the Connecticut coast, with 18 to 25 foot tides from New London east to Cape Cod. 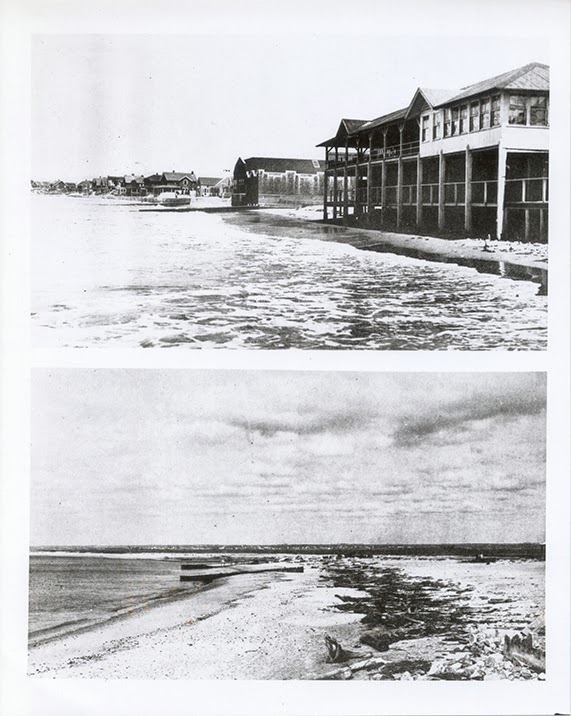 The destructive power of the storm surge was felt throughout the coastal community. Narragansett Bay took the worst hit, where a storm surge of 12 to 15 feet destroyed most coastal homes, marinas and yacht clubs. 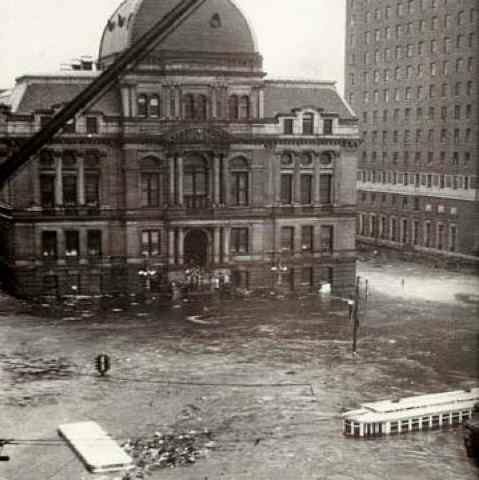 Downtown Providence, Rhode Island was submerged under a storm tide of nearly 20 feet. 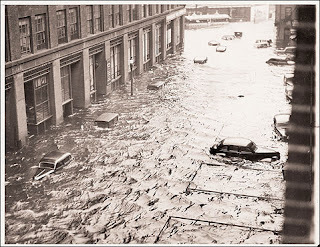 Sections of Falmouth and New Bedford, Massachusetts were submerged under as much as 8 feet of water. All three locations had very rapid tides increased within 1.5 hours of the highest water mark. Rainfall from this hurricane resulted in severe river flooding across sections of Massachusetts and Connecticut. Three to six inches fell across much of western Massachusetts and all but extreme eastern Connecticut. Considerably less rain occurred to the east across Rhode Island and the remainder of Massachusetts. The rainfall from the hurricane added to the amounts that had occurred with a frontal system several days before the hurricane struck. The combined effects from the frontal system and the hurricane produced rainfall of 10 to 17 inches across most of the Connecticut River Valley. This resulted in some of the worst flooding ever recorded in this area. Roadways were washed away along with sections of the New York, New Haven, and Hartford Railroad lines. The Connecticut River, in Hartford reached a level of 35.4 feet, which was 19.4 feet above flood stage. Further upstream, in the vicinity of Springfield, Massachusetts, the river rose to 6 to 10 feet above flood stage, causing significant damage. A total of 8,900 homes, cottages and buildings were destroyed, and over 15,000 were damaged by the hurricane. The marine community was devastated. Over 2,600 boats were destroyed, and over 3,300 damaged. Entire fleets were lost in marines and yacht clubs along Narragansett Bay. The hurricane was responsible for 564 deaths and at least 1,700 injuries in Southern New England. Damage to the fishing fleets in Southern New England was catastrophic. A total of 2,605 vessels were destroyed, with 3,369 damaged. 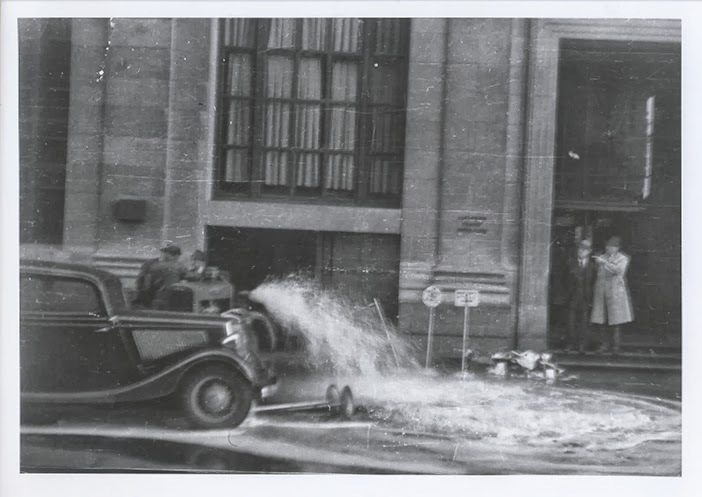 During research for this blog post, these old photos were found in a WSBE file folder labeled Wake of '38. Amazing photos! 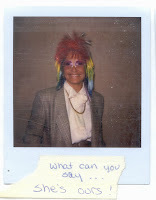 Some of the photos did not have captions or other means of identification, but the captions that do appear here are reproduced from what was written on the original photos. "Main building at Bailey's Beach blocks the highway in Newport." "Stone Bridge and the war memorial in normal times. The hardware store seen in this photo was swept away by the storm." In this case, the lobster hut in the photo above this one is located on the right side of this picture, outside the frame. of the Watch Hill Beach Club." PROVIDENCE, RHODE ISLAND (September 16, 2013) -- “It’s a sad day at WSBE Rhode Island PBS with today’s news of the passing of former CEO and general manager Susan L. Farmer,” said James H. Leach, chairman of the Rhode Island PBS Foundation. “On behalf of the entire Board, I extend my sincere condolences to Susan’s family," he said. 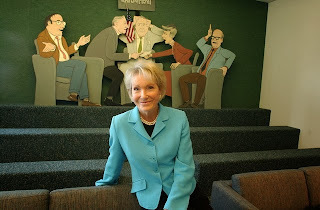 “She was a pioneer in politics and local public television. Her enduring legacy is one of strength and grit with style and grace. 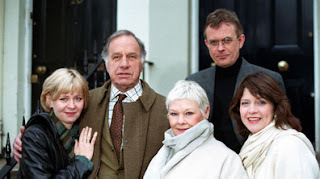 It was my good fortune to work with her for 10 years,” Leach added. 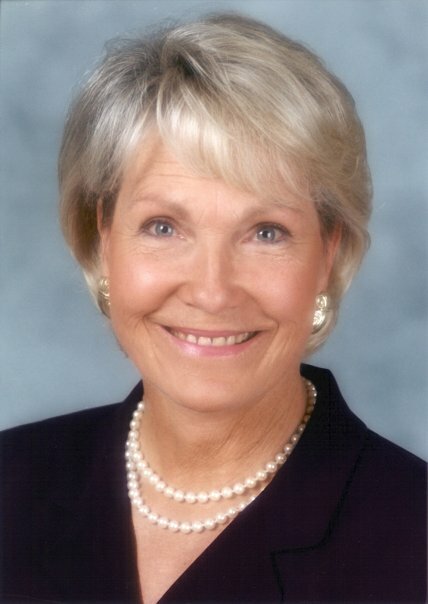 The first woman to be elected to statewide office as Secretary of State, Mrs. Farmer led WSBE for 17 years, from 1986 until her retirement due to illness in 2004. Under Mrs. Farmer’s direction, the Rhode Island PBS Foundation (formerly the Channel 36 Foundation) was established to raise funds and provide support services to the station. Through her 17-year tenure, her dedication, political and social networking increased fund raising by 58% and the viewing audience skyrocketed. Mrs. Farmer also made a name for herself on the national public television stage, earning awards and recognition as a strong advocate for public media in Washington, D.C., as well as Providence. In 1987, instructional television was established on WSBE with GED on TV, allowing high school drop outs to prepare for a high school equivalency certificate. In the same year, college telecourses began. 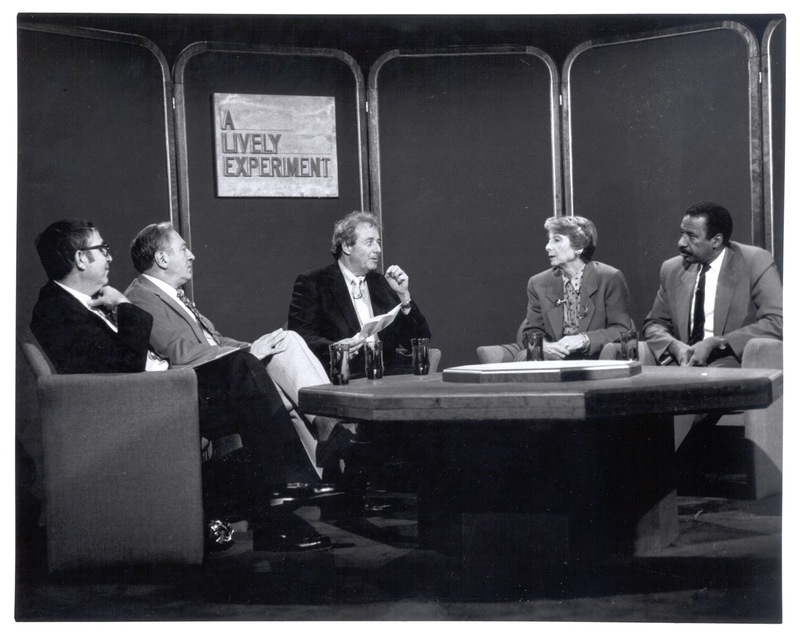 Funded in part by a grant from the Annenburg Foundation, telecourses were televised classes offered for college credit to students enrolled at the Community College of Rhode Island, Rhode Island College, and University of Rhode Island. At-home college schooling became very popular and at one point, Rhode Island had the highest per capita utilization in the country. Mrs. Farmer was also instrumental in instituting the WSBE flagship political affairs program, A Lively Experiment in 1987. The fast-paced round table discussion about local politics and government features a panel of news reporters, analysts, and news makers, and airs weekly to this day. Farmer oversaw the station’s 2003 name and identity change from its original “Channel 36” to Rhode Island PBS, complete with a new logo. 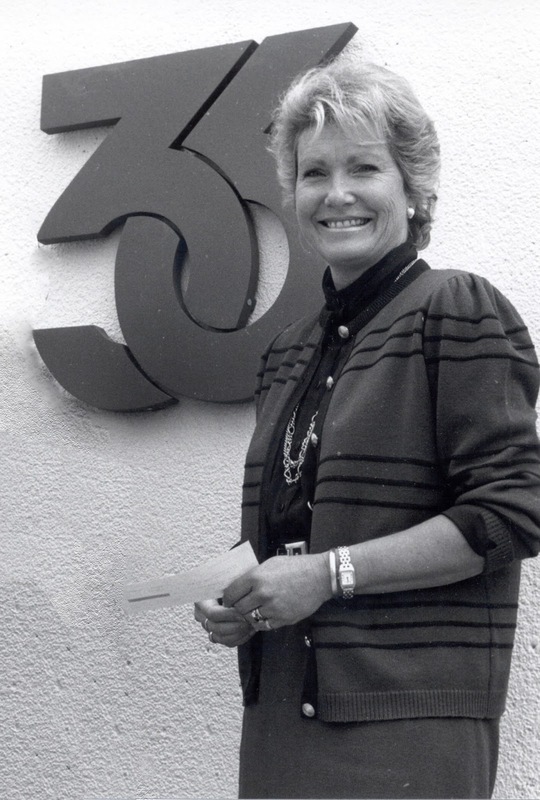 At the time, Mrs. Farmer said the new co-branded name more clearly defined and identified the station, and compensated for the wide range of cable channel numbers, which made "channel 36" less meaningful. Indeed, the station is here, thanks in no small part to Susan Farmer’s vision, leadership, innovation, and courage. The following tribute is taken from the September 20 episode of A Lively Experiment. Moderated by Dyana Koelsch, panelists in the video are Steve Kass, Dave Layman, Maureen Moakley, and Jim Taricani. WSBE Rhode Island PBS proudly announces three encore broadcasts of WaterFire: Art & Soul of a City. The beautiful documentary is by Joe Rocco with videography by Jim Karpeichik, produced in cooperation with WaterFire Providence. Click here for our original announcement with full program description. And don't miss the next full WaterFire lighting on September 21. If you've never been to WaterFire, it's time to ignite your senses. 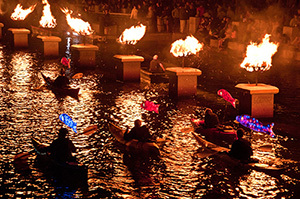 If it's been a while since you've experienced one, here's your chance to rekindle the passion that is WaterFire. Sometimes less is more. 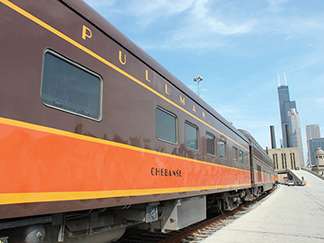 For proof, visit the Rhode Island PBS 2013 Benefit Auction, featuring just three items: the 2013 Toyota Prius v, round-trip accommodations for two between Chicago and New Orleans aboard a Pullman Rail Journeys sleeping car, and a dramatic Turkish wool wall hanging from Rustigian Rugs of Providence. Bidding opens on September 22. The idea of a non-profit organization hosting an auction to raise money is not a new idea. 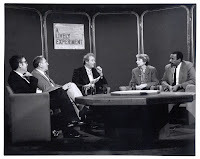 In fact, auction has been part of the Rhode Island PBS tradition since 1978. The way auctions are conducted has changed over time, however, with more and more non-profits – Rhode Island PBS included – moving away from the chaos of live auctions to the quieter (but no less exciting and hotly competitive) arena of online auction. 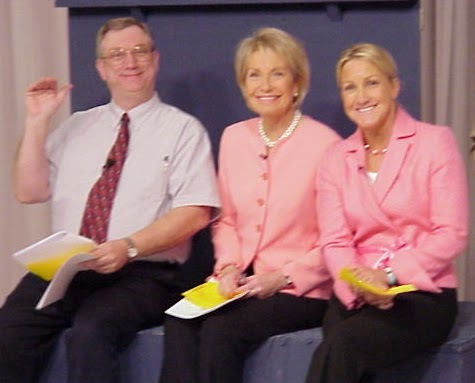 The worldwide stage notwithstanding, the greatest support for Rhode Island PBS Benefit Auctions traditionally comes from the local audience – individuals who share a particular fondness for and loyalty to Rhode Island PBS. More than just engaging in a transaction, these local bidders from all across the tri-state viewing area are invested in the station. They share a special pride knowing they have contributed to the success of their very own public television station – an organization that values their engagement and appreciates their support. Donors are the other essential element in the equation of auction success. For more than a decade, a loyal partner in Rhode Island PBS’s fundraising successes has been the New England Toyota Dealers. Each year for the past dozen or so, the New England Toyota Dealers have donated a brand new vehicle to the Rhode Island PBS Benefit Auction, attracting hundreds of thousands of dollars over the years to support the public television station’s programming and operations. 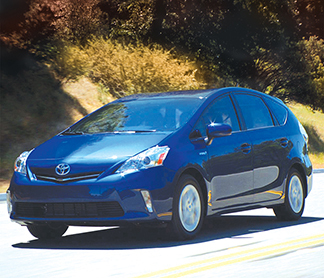 This year’s Benefit Auction, which opens September 22, features the 2013 Toyota Prius v, named “Best Overall Value of the Year for 2013” by Intellichoice. The 5-passenger Toyota Prius v delivers performance, legendary fuel efficiency, and was chosen 2013 Top Safety Pick by the Insurance Institute for Highway Safety (IIHS). 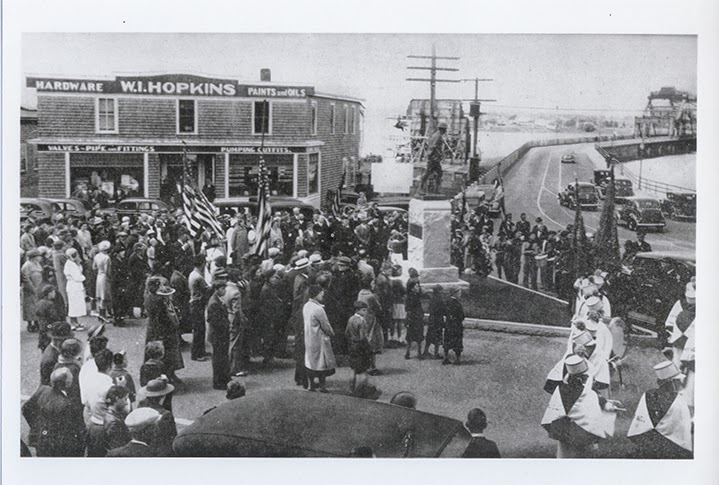 The long list of this model’s features is posted to the Rhode Island PBS Web site, ripbs.org. Two other unique items are offered in the Rhode Island PBS Benefit Auction for 2013: a luxurious train trip and a decorative wall hanging. Pullman Rail Journeys provides the round-trip sleeping accommodations, meals and beverages for two between Chicago and New Orleans, a trip valued at $3,900. Travelers may choose to begin their trip from either city. The Category B Double Bedroom features an upper and lower berth, private toilet and sink, and lounge services available throughout the journey. 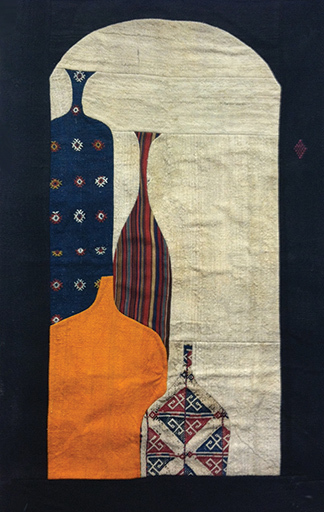 The wall hanging, donated by Rustigian Rugs of Providence, is a contemporary piece made of fragments of older Persian and Turkish flat woven kilim carpets, depicting antique decanters through an arched window. Donor valued at $2,495, the face of the piece is 100% wool. This piece was designed and fabricated in Istanbul, Turkey, and makes a bold artistic statement at an impressive 3 by 5 feet (actually, 2-feet 11-inches wide by 5-feet 1-inch tall). For photos and more information about the 2013 Rhode Island PBS Benefit Auction featuring the 2013 Toyota Prius v, please visit ripbs.org. They came to their senses! 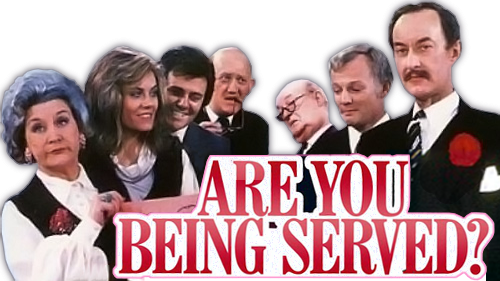 Are You Being Served? is NOT going away. In a completely unexpected turn around, the owners of the broadcast rights to Are You Being Served? have signed an agreement to continue allowing PBS stations to license the series. Therefore, the series will be back in its regular Monday through Friday time slot of 7:30 p.m. effective Wednesday, September 18. The series will re-set and will begin with the first episode. This also means that The Last of the Summer Wine will stay at 7:00 p.m. on Tuesday nights and allow us to keep our original plan of a double dose of As Time Goes By at 8 and 8:30 p.m.